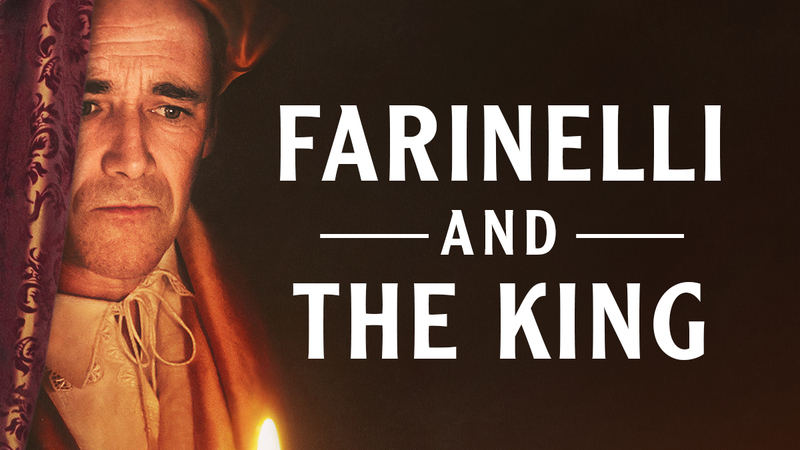 Following his acclaimed performance in the hit film Dunkirk, Oscar and three-time Tony winner Mark Rylance returns to the stage in Farinelli and the King. Written by Claire van Kampen and directed by John Dove, this captivating new play arrives on Broadway after sold-out runs at Shakespeare’s Globe and on London’s West End. 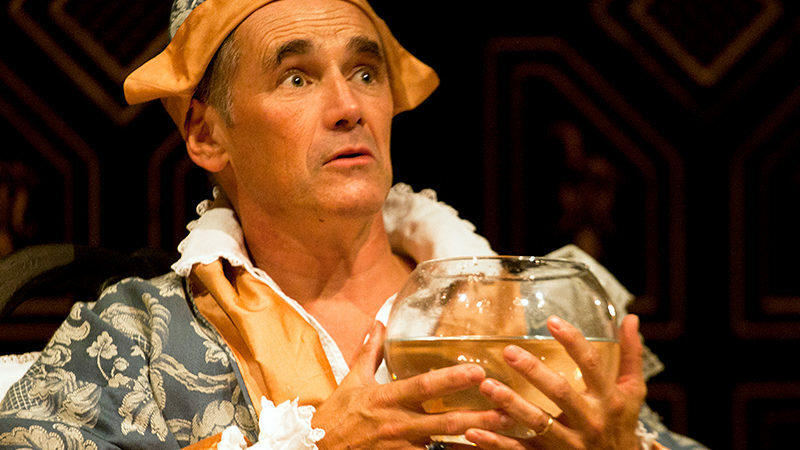 With designs by Jonathan Fensom and musical arrangements by van Kampen, it tells the true story of Philippe V (Rylance), a Spanish monarch on the brink of madness. He finds unexpected solace in the voice of world-renowned castrato Farinelli, sung by countertenor Iestyn Davies. 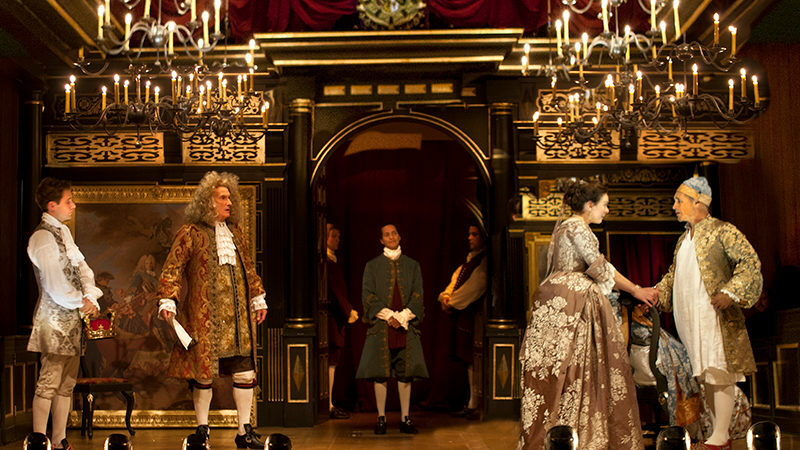 Like Broadway’s Twelfth Night and Richard III, this contemporary work is presented in the signature style of Shakespeare’s Globe — traditional baroque instruments are played live in a gallery above the stage; the audience enjoys intimate seating with several rows onstage; and the story is told by candlelight, creating an enchanting theatergoing experience.